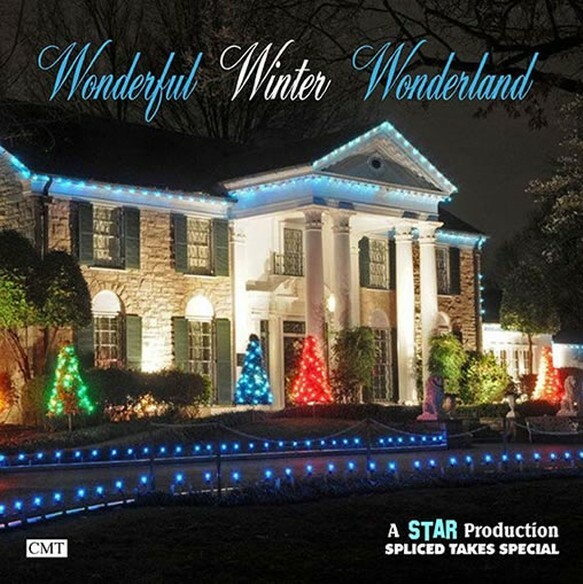 Elvis: 'Wonderful Winter Wonderland' is a spliced take special release and is another winner in the great series and needs no further introduction. One thing we do want to mention is the newly created 'harmony' version of 'The Wonderful World of Christmas', although there are no outtakes available the CMT team managed to make a very different sounding track, where even the vocal ending is far different then the master take! Also just listen to the newly overdubbed version of 'Merry Christmas Baby' which has been re-created from THREE different overdub versions. All the other tracks are spliced very well, with longer intros and great edits! If you need a sample, just ask me! The professional edits will blow you away and will make you believe these are unreleased takes. Every year there are some 'new' Elvis Christmas Albums ... they all have the same tracks over and over ... how nice to have something really new now!